Sarasota Dermatologist Dr. O'Donoghue specializes in the medical, surgical, and cosmetic aspects of skin care. Since starting his Sarasota practice in 2000, Dr. O'Donoghue has been at the forefront of dermatology and cosmetic surgery. O'Donoghue Dermatology utilizes cutting edge technology to provide the newest dermatological treatment options and cosmetic services. At O'Donoghue Dermatology, the optimal health and appearance of your skin is our top priority. Our cosmetic dermatologist is dedicated to treating and improving all disorders and diseases of the skin, hair, and nails. Services we provide include Mohs surgery for skin cancer, acne laser and scar treatment, and cosmetic facial surgery. We provide the most effective and advanced dermatology laser treatments for cosmetic needs and medical skin conditions. We offer a full range of procedures for improving the appearance of the skin including laser skin resurfacing, Lightsheer hair removal laser, Restylane, Radiesse, Juvederm, Intense Pulsed Light Laser, laser vein removal , peels and BOTOX® Cosmetic. Dr. O'Donoghue is board-certified by the American Board of Dermatology and has earned Fellowships in the American Academy of Dermatology, Florida Society of Dermatologic Surgeons and the American Society for Dermatologic Surgery. He is also a member of the American Society for Mohs Surgery, American Medical Association, Sarasota County Medical and Dermatological Society and American Society for Cosmetic Surgery. Currently he is Section Chief of Dermatology Sarasota Memorial Hospital Internal Medicine Residency program. Consistently voted as one of Sarasota's best dermatologists, Dr O'Donoghue has also been recognized as one of "America's Top Physicians" and "America's Best Cosmetic Doctors and Dentists" for his outstanding work in the field of dermatology and cosmetic procedures. Dr. O'Donoghue is a dermatologist who cares and has pride in his work. He is dedicated to the highest level of patient care and stays at the forefront of medical research. We encourage you to schedule a cosmetic consult with Dr. O'Donoghue today. Whether you have questions about laser, BOTOX® Cosmetic, leg veins, peels, laser or skin cancer our providers can help. Recently we expanded our offices to better serve patients. A newly renovated reception area will allow us to offer regular dermatology lectures and free educational seminars on topics such as the prevention and treatment of skin diseases as well as the latest advancements in skin care. O'Donoghue Dermatology is dedicated to helping you stay healthy and age gracefully. We now offer a separate waiting room where patients undergoing Mohs surgery for the treatment of skin cancer can relax between stages, a phototherapy room for the treatment of chronic skin disorders like psoriasis, vitiligo and eczema, and an aesthetician suite for cosmetic procedures including chemical peels, microdermabrasion, and dermaplaning. Dr. Morgan O'Donoghue was President of the Florida Society of Dermatologists 2016. 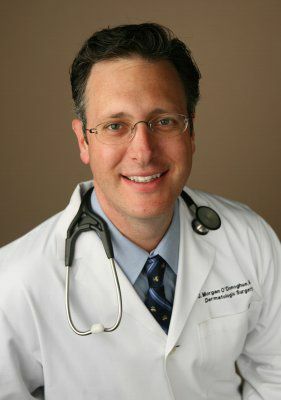 His accreditation's include: Graduate of the Georgetown University School of Medicine, Graduate of Tulane University Medical Internship and Georgetown University / Washington Hospital Center Dermatology Residency.